In a previous post (click here to see) I decided to create a knockoff of a beautiful console table from Restoration Hardware. The columns have arrived and I got some wood from Lowes for the top and bottom portions of the table. While I wait for Matt's help in nailing and screwing it all together I have been testing out stains on the underside of one of the wood pieces. 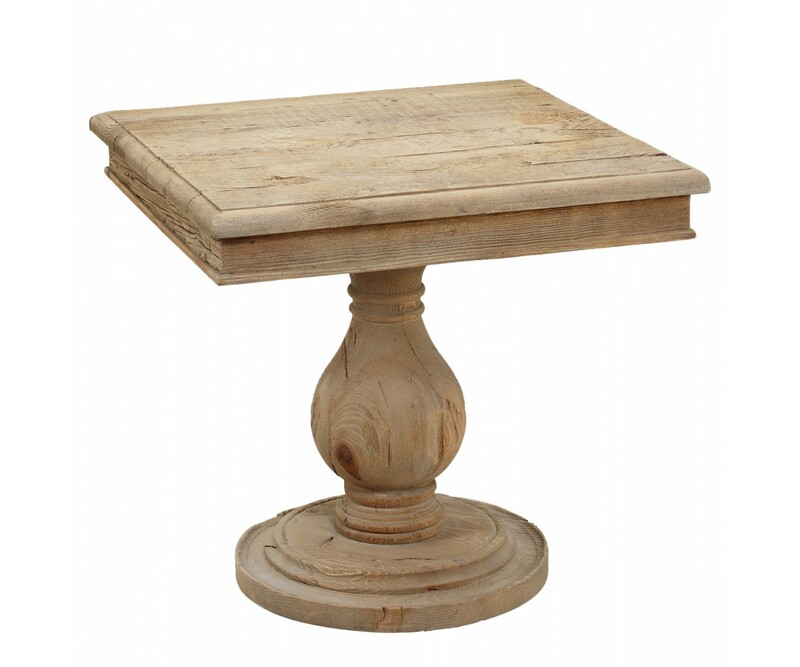 The trick to getting a great look is using different layers of stain, watered down paint, or glaze. I just kept trying different combinations and layers until I found a look that I liked. I hope to have it done soon and I will post the final results. 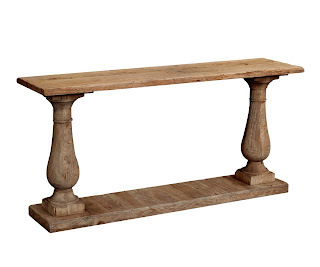 In the meantime I was surprised to find this knockoff table from tevaliving.com, it is a very similar look to Restoration hardware's but it is only $540 (Restoration's is $1300). Mine will end up being just over $400 so I guess I am still saving some money but in the future I think I'll be checking Teva Living's website before I attempt to recreate a piece of furniture myself! I had to include a picture of this awesome side table also from Teva Living, it's $295 and I am in love with it! I don't know where I would put it but it is very tempting!!! !